Books have been a major influence in my life. They can brilliantly take you on an adventure, a journey of self-discovery and growth. Some literature stands the test of time. 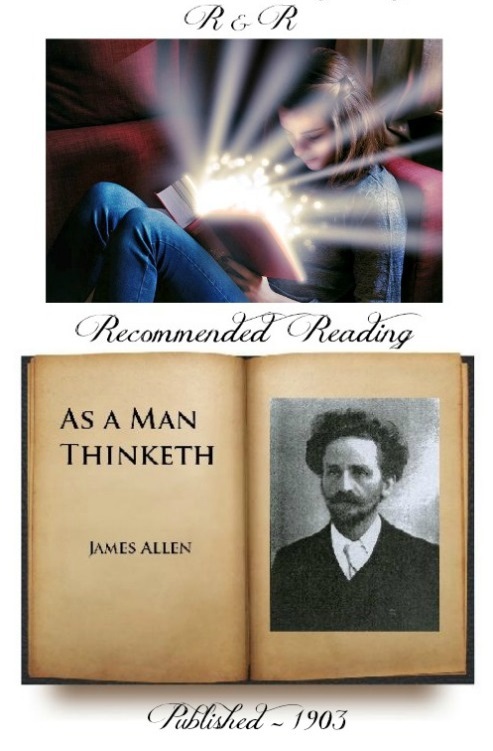 James Allen's 'As a man thinketh', published in 1903 is as relevant, helpful and inspiring today as I imagine it was when it was first published. You can read this literature treasure freely on line in an hour. This recommended reading list will expand as each week I share my favourites and some of the greatest books of all time. Books that inspire, challenge, bring hope, healing and enjoyment to all who take the time to open them! I welcome your comments, thoughts and feedback and to share (via the link below) a book that has had a wonderful impact in your life!